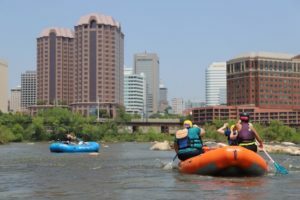 Take on an adventure down the James River with RVA Paddlesports in downtown Richmond, Virginia. Groups can choose from a variety of kayaking, stand-up paddle boarding and whitewater rafting trips on the river, and all skill levels are welcome. Whitewater rafting, RVA Paddlesports, Richmond, Va.
Griffin has been whitewater kayaking and rafting for about 10 years all over the world. He has worked in Costa Rica, Alaska, Norway, Australia and Nepal. 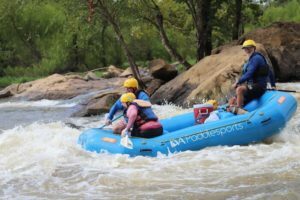 In 2013, he decided to turn his passion for adventure into a whitewater kayak school to offer lessons and instruction for those interested in paddling the James River. “After two successful seasons of kayaking, we branched out and started offering rafting operations,” Griffin said. Both flatwater and whitewater options are available for kayakers, and stand-up paddle boarding is offered on flatwater only. “Besides great memories of the river, groups can enjoy an active healthy lifestyle activity,” Griffin said. 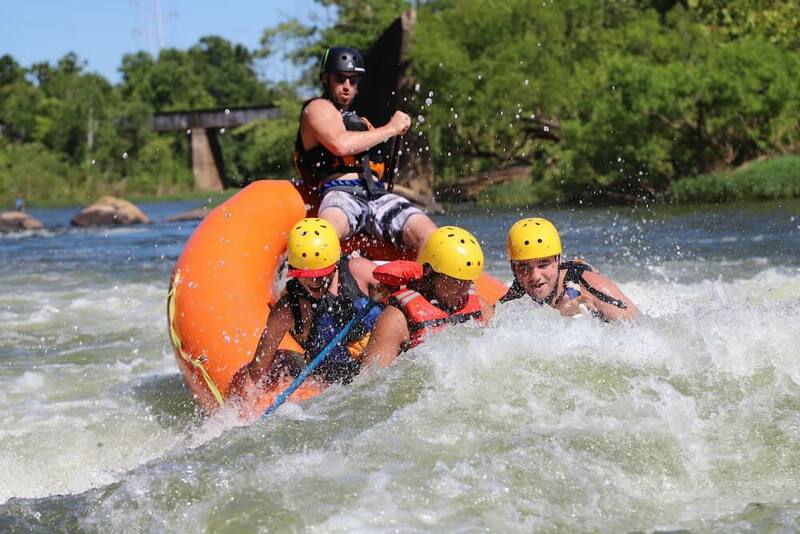 The lower portion of the James River offers some exhilarating whitewater rafting with Class III rapids, which have names like Fish Ladders, Hollywood and Pipeline. This trip stops halfway through on a deserted island where groups can take a break to relax with some snacks and fresh fruit. For a more relaxing float, groups can raft on the upper section of the river and take in the quiet and peaceful scenery. Aside from water adventures, RVA Paddlesports offers an intro to rock climbing course, where groups can learn the basics of outdoor rock climbing. Griffin recommends booking group trips at least a week in advance. 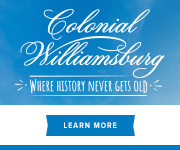 For more information, call 804-898-0697 or visit rvapaddlesports.com.